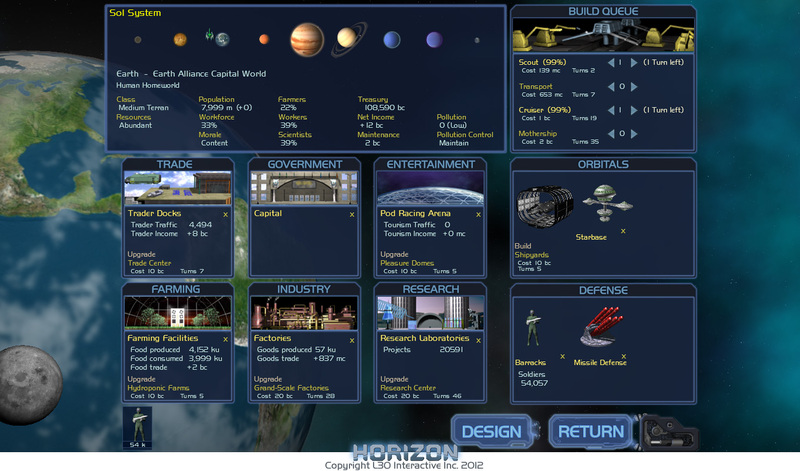 A y interactive galaxy allows you to navigate open space between stars and planets. 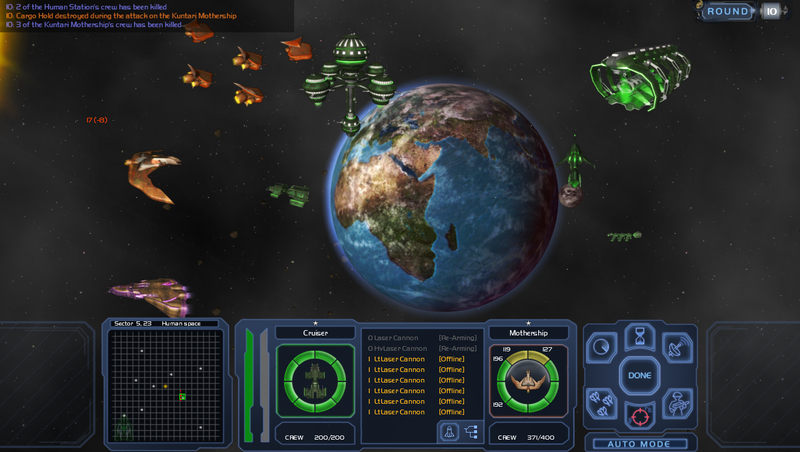 Patrol your borders and, when the need arises, defend your territory engaging in ship-to-ship tactical combat. Develop new colonies and then watch them become galactic centers for trade, industry and science – and of course military bases, outposts and shipyards to build your battle ships. Push your empire to its limits and go beyond the known horizon!